My First Attempt at Stuffed Peppers and Corgettes! 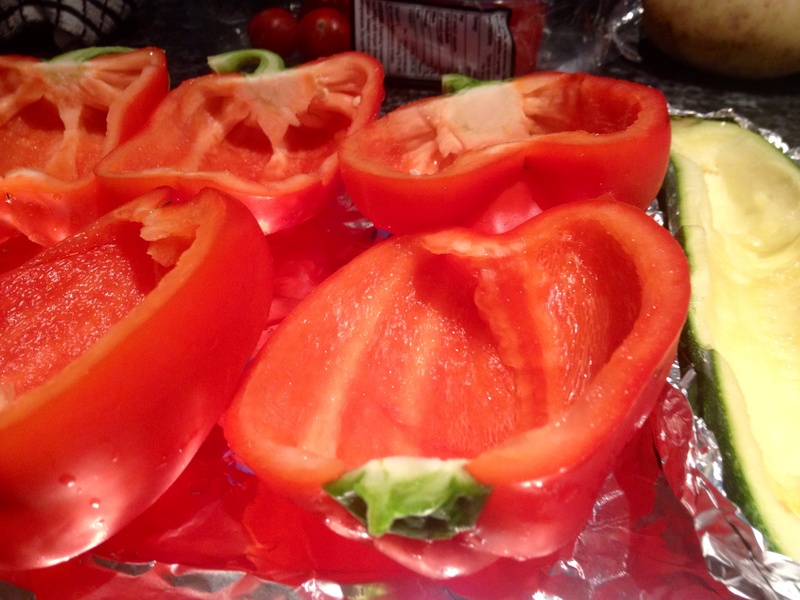 Stuffed peppers aren’t anything new – I know. But it’s taken me a really long time to jump on this band wagon. I’ve been reading the blog Cooking with a Wallflower, her name is Andrea Giang and she posts lovely healthy recipes and they are always very pretty looking in her photos! I recommend you check her out because she was the only who inspired me to try these stuffed courgettes. Andrea filled hers with cajon seasoning, sweetcorncorn and cheese. Since I didn’t have any cajon seasoning (and I wasn’t feeling adventurous enough to give fajita seasoning a go!) I stuffed them with sweetcorn and mozzarella and they were pretty darn tasty. Probably would’ve been better with some spice to give it a little kick but otherwise it was yum! 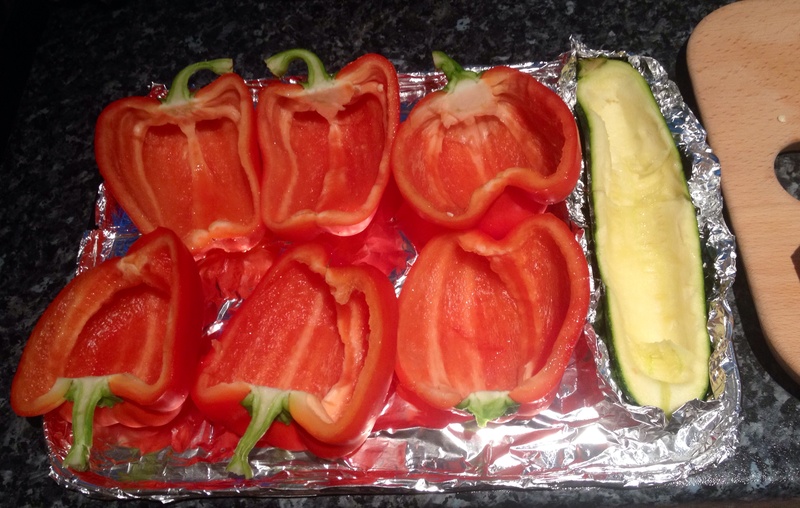 As for the peppers I stuffed them with corn and savoury rice (yes I was lazy it was from a packet…) then topped them with cheese before baking them in the oven for 30 minutes. The peppers were still a little crunchy – we like them that way – but I read another post somewhere that said to blanch the peppers first in some boiling water, before you stuff them, which kickstarts the cooking process. It’s all about how you like them. They came out really nice and were super-easy to prepare. Just cut the vegetables in half and scoop out the insides. Stuff them with chosen filling and voila! Stuffed Peppers and Courgette Boats! I served them with a tortilla wrap and we sliced them up with some soured cream to make a kind of fajita but it could equally be served with a side salad! Make your own Ranch Dip Powder! ← Dim Sum for Beginners!